There are numerous ways cars and phones interact with one another, whether it’s listening to Bluetooth audio and streaming our top 25 songs about cars and driving or explaining to Mom why you keep avoiding her phone calls. Needless to say, these features drain your phone’s battery, which is why keeping your phone charged is so essential, especially during longer road trips. Older cars don’t have USB ports and even newer cars can’t always charge your phone even when they’re plugged in. Eton’s BoostSolar is looking to help with that. The solar-powered battery pack can charge smartphones and tablets, helping make sure you never run out of juice while on the go. The device can be charged via the sun or through a USB cable. 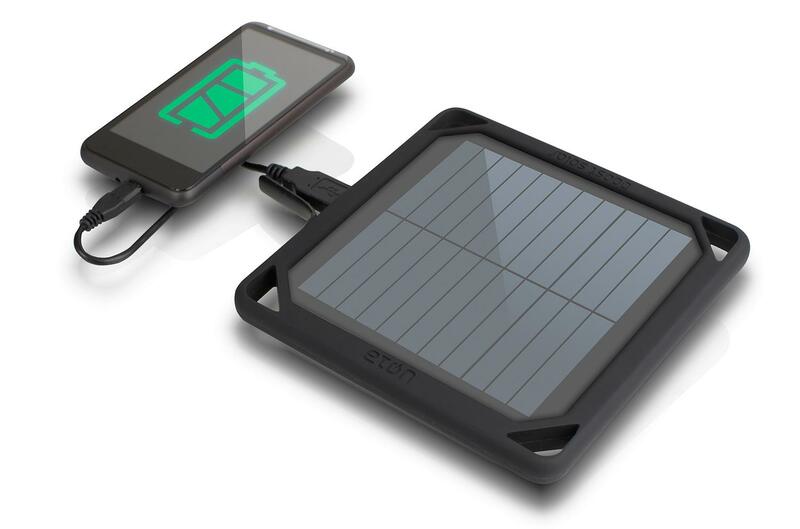 Eton says a full solar charge takes up to 16 hours, while seven hours will get you topped off using a Micro USB. 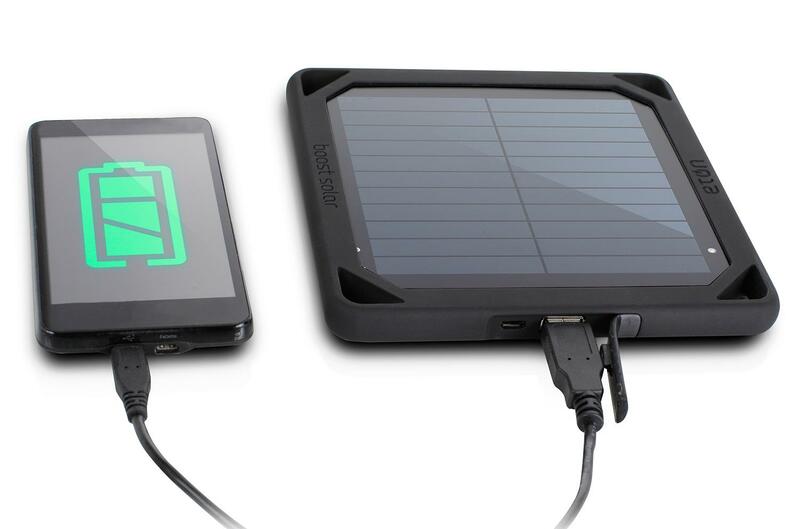 The BoostSolar sports high-efficiency solar panels that charge a 5000 mAh lithium-ion battery. According to Eton, this is enough to fully charge most smartphones two and a half times. A 5V/2A USB port works with most tablets and mobile devices, while a helpful built-in LED indicator light displays how much battery charge is left in the device. While it will work just fine in the safety of your car, the BoostSolar is also designed to get down and dirty. In addition to being splashproof, the device can be attached to a backpack, making it ideal for camping and hiking trips. “With people constantly on-the-go, relying on their mobile devices to stay connected, it’s critical to be able to charge your devices no matter where you are.” said Esmail Hozour, CEO of Etón Corporation in a company press release. 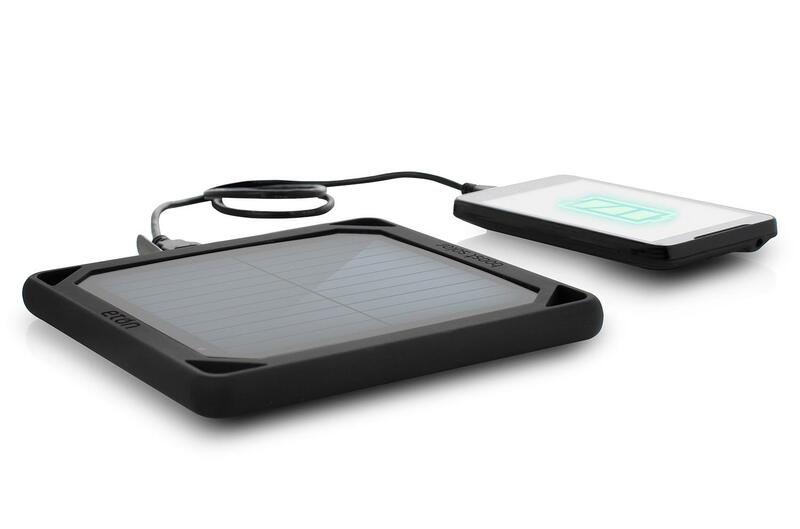 While there are many devices that will help charge your phone and tablet, the BoostSolar appears to be a sound alternative for shoppers looking for a more eco-conscious and independent alternative. The device retails for $100 and is available from Eton online, Amazon.com and REI stores.